Providing a friendly atmosphere and free breakfast, Richmond Hill Hotel is 5 minutes' drive from the Melbourne Cricket Ground and 5 minutes' walk from Richmond Plaza Shopping Centre. This charming guest house is located on top of Richmond Hill. Each room is comfortably furnished and offers value for money. Guests can relax and read free newspapers at the cosy lounge area. The friendly staff can offer advice on the area's attractions and provide information on tram tickets. Start the day with a tasty continental buffet breakfast in the lounge. The relaxed bar setting is also ideal for drinks after a day of exploring Melbourne. Richmond Hill Hotel is close to shoppers' paradise, Bridge Road. There are also excellent public transport links to take you across Melbourne. Situated just on the outskirts of Melbourne's central business district, this charming boutique hotel provides elegant accommodations with free wireless internet access, next to Albert Park. Hotel Charsfield is housed within a heritage-listed Victorian building. Each of the guest rooms is modern and stylish. They are furnished with modern amenities including, satellite TV and air conditioning. Free wireless internet can be accessed throughout the hotel. After a day of work or exploring, relax in the elegant reading room or spend time in the billiard room. Pamper yourself in Charsfield's beauty salon with a facial or a massage. As a guest at Charsfield Hotel, you can also enjoy free access to the off-site fully equipped gym. Hotel Charsfield is just a short tram ride from Melbourne's great attractions. Cotterville Homestay offers accommodations with breakfast included only 580 yards from Hawksburn Station which has regular trains to Melbourne, less than 15 minutes away. The rooms come with DVD player. This small guesthouse, set in an English-style country garden, serves a full English breakfast. The owners host a 'Happy Hour' with free drinks daily from 5 p.m. until 6 p.m. Chapel Street shopping area is a 2-minute walk from Cotterville Homestay - Bed & Breakfast. The 2 air-conditioned rooms at Cotterville Bed & Breakfast have a shared bathroom. The Victorian history of the property has been mixed with contemporary design and modern art. Guests can use 3 sitting rooms or relax in the Mediterranean-style courtyard with sitting area. Grand Mercure Docklands is in Melbourne’s vibrant waterfront district of New Quay. These self-catering apartments feature a private balcony, plus access to a fitness center. Most rooms have stunning bay views. Grand Mercure Apartments Docklands is less than a 10-minute walk from Etihad Stadium and a 15-minute walk from Southern Cross Station. It is a 20-minute walk from Queen Victoria Market. These modern studios and 1, 2 and 3-bedroom apartments include a spacious living area, full kitchen and laundry facilities. Guests can enjoy free cable TV and a private balcony. Facilities include undercover parking and a business center with free internet access. Guests at Grand Mercure Apartments Docklands can use the free City Circle Tram to reach nearby attractions including Federation Square and Crown Casino. Located in the fashionable area of Flinders Lane, this boutique hotel offers luxurious suites. Federation Square and Flinders Street Station are 5 minutes' walk away. The Sebel Melbourne Flinders Lane also offers a fitness centre and a sauna. The elegant suites include a living area and kitchenette with dishwasher, microwave and fridge. Some suites offer views of Grand Mercure's European-style courtyard. The Sebel Melbourne Flinders Lane is surrounded by trendy restaurants, bars and cafés. In the heart of Melbourne, Sofitel On Collins provides luxurious rooms with floor-to-ceiling windows offering panoramic city, bay or park views. It features a fitness center and massage services. All air-conditioned rooms have contemporary furnishings, mood lighting and a luxurious marble bathroom. Each room has flat-screen satellite TV and a BOSE entertainment system. Sofitel Melbourne On Collins is a 5-minute walk from Federation Square and Princess Theatre. Melbourne Museum and Melbourne Arts Centre are each a 15-minute walk away. No 35 Restaurant features innovative international cuisine and beautiful city views. Sofi's Lounge hosts changing art exhibitions and showcases a sophisticated high tea experience. In the heart of Melbourne, The Crossley Hotel has spacious, modern rooms with free Wi-Fi and a flat-screen TV. Some of the rooms also feature kitchen facilities. Crossley Hotel Melbourne is a 2-minute walk from both the Princess Theatre and Her Majesty's Theatre. The Regent Theatre is a 10-minute walk from the hotel. The hotel is a 5-minute drive from the MCG and Rod Laver Arena. Featuring accommodations options that suit every need, all of the rooms include free in-room movies and ironing facilities. Air conditioning, heating and a minibar are also provided. Some of the apartments also have a private balcony with views of the surrounding area. The nearest tram stop is only 275 yards from the property. The Crossley Hotel is less than a 5-minute walk from Parliament Station. The refurbished Mercure Melbourne - Treasury Gardens features spacious modern rooms with views of central Melbourne or the beautiful Treasury Gardens. The restaurant and bar serve modern Australian cuisine. Overlooking Treasury Gardens in the center of Melbourne, the Mercure Hotel is only a quarter mile from Parliament House and less than half a mile from Federation Square. It is a 15-minute walk from the MCG. Guests at Mercure Hotel Melbourne Treasury Gardens can choose from a pillow menu to make their stay as comfortable as possible. All rooms are protected from outside noise with double-glazed windows. Each room is air-conditioned and equipped with a minibar, in-room safe and a desk with internet accessibility Lime Restaurant and Bar has a buffet breakfast and uses fresh regional produce. At the Lime Café Bar, you can enjoy your favorite drink in contemporary style and watch the world go by. Novotel Melbourne on Collins features beautifully furnished guest rooms and executive suites with contemporary furniture, redesigned color schemes, new bathroom fixtures and new beds. Novotel Melbourne on Collins Hotel has 9 renovated conference and event spaces, a fully equipped business center, a restaurant and bar, a fitness center and direct access to the Australia on Collins shopping center. All of the rooms either overlook the hotel’s spectacular glass atrium or Collins Street below. Every room has a large work desk, a 40-inch LCD TV, an iPod/iPad docking station, a minibar and a private bathroom. Lane Cafe & Bar features an extensive buffet breakfast, a café-style lunch menu and a diverse dinner menu. It also has espresso coffee, signature cocktails and light meals during the day. The iconic MCG, Rod Laver Arena, Melbourne Tennis Centre, Etihad Stadium, Princess Theatre, Her Majesty's Theatre, Regent Theatre and Federation Square are all within a 5-minute drive of the hotel. In the heart of Melbourne, Mercure Welcome is a 10-minute walk from Flinders Street Station and Federation Square. All rooms include cable TV, air conditioning, heating and a refrigerator. Each room at Mercure Welcome Melbourne features a work desk with internet accessibility. Some rooms include a kitchenette with microwave and toaster. The chic and cozy Cocoon Bar has drinks and refreshments. The Louden Kitchen & Grill serves contemporary Italian-inspired cuisine and has a generous buffet breakfast with fresh fruit, bakery goods and hot options. The tour desk can provide information on local activities. Luggage storage and a car rental service are also available. Mercure Welcome Melbourne is a 5-minute drive from the Melbourne Cricket Ground and Rod Laver Arena. The nearest tram stop is only 150 yards from the hotel. In the center, Swanston Hotel is on the doorstep of Bourke Street Mall, restaurants and theaters. Federation Square and Southbank are also a short walk away. The Swanston Hotel rooms offer fully equipped bathrooms, separate seating areas and have a microwave, refrigerator and air conditioning. The hotel also has an indoor swimming pool and fitness center. Guests can enjoy breakfast and light meals at the hotel’s cafe, or savor delicious Italian-inspired cuisine with a modern twist at the Louden Kitchen & Grill restaurant. Novotel Melbourne St Kilda is located in the seaside suburb of St Kilda. Right on the beach and only 6kms from Melbourne city, with many rooms offering spectacular views of the bay. The light and airy rooms have satellite TV and air conditioning. Some rooms are also equipped with spa bathtubs. Novotel St Kilda features a heated swimming pool, a fitness center and on-site parking. Enjoy terrace dining in the Grill 3182 Restaurant and Bar. From the hotel you are easy walking distance from Luna Park, the famous Sunday art and craft market as well as Acland and Fitzroy Street which are prime shopping, dining and nightlife areas. Located in the heart of the city, Somerset Gordon Place offers unique, spacious accommodations with excellent services and facilities, as well as access to business and recreational activities in Melbourne. Housed in the world-renowned theater district and the top end of bustling Chinatown, this heritage-listed residence is ideal for both tourists and corporate travelers. Close to the central business district, other businesses more than a few blocks away can be reached by the nearby Bourke Street tram stop. The residence is also ideally positioned for all of Melbourne's famous dining and shopping experiences. These serviced residences have a wonderful mix of modern cosmopolitan and historic classic design. Each one uses the available space and light to its potential. Most have a fully-equipped kitchen and stylish contemporary decor. Just 320 yards from Melbourne Central Station and Bourke Street Mall, Somerset on Elizabeth Melbourne features accommodations with free Wi-Fi. Guests can enjoy a fitness center, a hot tub and a sauna. Laundry and kitchen facilities are standard in all apartments. In the heart of Melbourne, Somerset on Elizabeth Apartments are just a 5-minute walk from Chinatown and a 10-minute walk from Etihad Stadium. 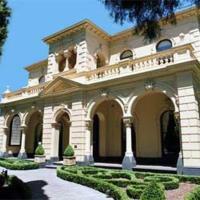 Queen Victoria Market and the National Gallery of Victoria are each a 15-minute walk away. The spacious apartments each include a living area with seating, cable TV and a CD/DVD player. 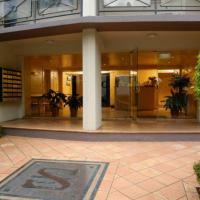 The property also features a 24-hour front desk, a tour desk and car rental services. Continental breakfast is served each morning. There are a number of restaurants, cafés and bars within a 5-minute walk of the property. The boutique Hotel Urban St Kilda provides stylish accommodation just a 5 minute walk from St Kilda Beach. It features a cafe and a fitness center. Guests have free access to St Kilda Sea Baths, offering a heated swimming pool, hydrotherapy hot tub and steam rooms. All rooms at St Kilda Urban Hotel have a minibar and a private bathroom. Premium amenities include a Bang & Olufsen sound system, Genovese coffee and free cable TV. Some rooms also feature a spa bathtub and flat-screen TV. Hub is a warm and modern all-day eating space, offering a delicious breakfast menu, Genovese coffees and a seasonal lunch menu. Hotel Urban St Kilda is a 15 minute drive from Melbourne city center and 40 minutes from Melbourne Tullamarine Airport. On the banks of the Yarra River, The Langham Melbourne features an indoor swimming pool with views out over the city. The elegant interior includes a grand marble staircase, cascading fountains and magnificent chandeliers. All rooms at The Langham include cable TV and a minibar. Wi-Fi internet access is available. Guests can relax at the Chuan Spa, which offers a range of massages and beauty treatments. The fully equipped fitness center includes a sauna and steam room. Melba Restaurant offers panoramic views in a stylish relaxed setting. ARIA Bar serves tea, coffee, light meals and cocktails. The Langham is a 5 minute drive from Rod Laver Arena and a 10 minute drive from the MCG. Federation Square is a 10-minute walk away. These studios and apartments in the heart of central Melbourne have stunning views of the city and surrounding parklands. Most of the units include full kitchen facilities and a private balcony. Guests receive 30-minutes free Wi-Fi per day, per room. Oaks on Lonsdale is surrounded by fabulous shopping, restaurants, cafes, the vibrant theater district and Chinatown. The iconic MCG and Rod Laver Arena are both a 20-minute walk from the property. All of the units include cooking facilities and a flat-screen TV with cable channels and a DVD player. Most of the apartments have timber floorboards and a kitchen with stainless steel SMEG appliances. Oaks on Lonsdale Apartments provide dry cleaning and laundry services, and the front desk is open 24 hours a day. The nearest tram and train stops are less than a 5-minute walk from the property. In the heart of Melbourne, Oaks on Market has accommodations with kitchenette facilities and 32-inch flat-screen cable TVs. The hotel features a swimming pool, a hot tub and a sauna. Guests receive 30-minutes free Wi-Fi per day, per room. All of the apartments are air-conditioned, and have a CD player. Every apartment has ironing facilities, a microwave and a refrigerator. Some of the apartments also feature views of the Yarra River. Melbourne Oaks Hotel has meeting and conference facilities. Guests can exercise in the well-equipped fitness center. Dry cleaning and laundry services are also available. Alexi’s Restaurant specializes in Modern Australian cuisine. The R2 Restaurant and Bar serves a range of simple meals, cold beer and spirits. The nearest tram stop is just a 1-minute walk from the hotel. Flinders St. Station and the Australian Centre for the Moving Image are a 10-minute walk from the property. The Cosmopolitan Hotel is ideally located at the heart of vibrant St. Kilda, 2 minutes from Acland Street's cafe culture and with a tram stop in front of the hotel. Luna Park, St. Kilda Arts Market and The Esplanade are all on the doorstep. The Cosmopolitan is a boutique-style hotel including modern minimalist rooms, which are also well furnished with plasma-screen TV, free Wi-Fi access and spacious wardrobes. The Cosmopolitan conference center features plenty of natural light and state-of-the-art audio-visual equipment. It offers its own dedicated meetings coordinator and a capacity for 40 people theater style and 60 people cocktail style. Chalk Cafe & Bar offers a menu on weekends and a generous breakfast each day. Menu options include cereals, fresh fruits and breads along with continental cured meats and cheeses. Freshly brewed espresso coffee and an extensive tea selection are also available. The outdoor patio is perfect for open-air dining and overlooks Carlisle Street. Featuring a rooftop deck, café and bar, Pensione Boutique Hotel is in the heart of central Melbourne. All rooms include air conditioning and free cable TV. The free City Circle tram stops right outside the hotel. Each room features modern furnishings, a small refrigerator, ironing facilities, plus a private bathroom. Wi-Fi access is available. Pensione Café & Bar is on the hotel’s ground floor. Guests can start their day with a delicious breakfast and coffee, or relax at the end of a busy day in the lounge bar area. Southern Cross Station and Melbourne Convention Centre are a 5-minute walk from Pensione Hotel Melbourne. Etihad Stadium and Crown Casino are a 10-minute walk away. Batman’s Hill on Collins is located in the heart of Melbourne, across from Southern Cross train station. It offers 2 stylish restaurants and 2 bars, plus 24-hour room service. All air-conditioned rooms at Quality Hotel Batman's Hill on Collins feature a minibar, refrigerator and tea/coffee making facilities. Some rooms include a bathtub in the bathroom. Rooms with kitchen facilities are also available. Founder's Restaurant serves a full buffet breakfast each morning. The Vault Café is open for continental breakfast, lunch and dinner. Guests can choose between the 5 Shilling Cocktail Bar or Platform 66 Bar. Many of Melbourne’s top attractions, including the Yarra River, Crown Casino and Etihad Stadium are within a 10 minute walk of Quality Hotel Batman's Hill on Collins. Quest Fairfax House offers spacious self-contained accommodations in the very center of Melbourne. All studios and apartments offer large living areas, plus full kitchen and laundry facilities. Located in the heart of Melbourne on Little Collins Street, Quest Fairfax House is a 10-minute walk from Flinders Street Station and Federation Square. Crown Casino is only 15 minutes away. Each studio and apartment features high ceilings, double-glazed windows and cable TV. Air conditioning, ironing facilities and tea/coffee making facilities are provided. High-speed internet access is available. Guests can charge their meals from selected local restaurants to their room. Breakfast options and a pantry shopping service are available. Quest Fairfax House occupies a renovated historic building, blending Old World atmosphere with modern décor and conveniences. Undercover parking is available on site. Metro on Bank Place features modern studios and apartments with free Wi-Fi in the center of Melbourne. Dry cleaning, laundry services and free luggage storage are available. Each air-conditioned apartment at Metro Apartments on Bank Place Melbourne has a private bathroom, cable TV and free in-house movies. Some apartments also have cooking facilities. Free Wi-Fi internet access is available throughout the property. Metro Apartments on Bank Place is just over half a mile from Flinders Street Station. The key attractions of Melbourne, including the National Gallery of Victoria, Melbourne Maritime Museum and Chinatown are within a 20-minute walk of the property. Quest Hero on Russell offers spacious modern apartments in the heart of Melbourne, some with downtown views. Each includes separate lounge and dining areas, full kitchen and laundry facilities. All apartments enjoy free Wi-Fi access. Quest Hero Melbourne is just 330 yards from the Bourke Street Mall shopping precinct and less than half a mile from Parliament Station. It is a 5 minute walk from Federation Square and 10 minutes from Rod Laver Arena. All apartments have floor-to-ceiling windows providing natural light, and many offer views of Melbourne’s skyline. Each is air-conditioned and features an oven, stove, microwave and dishwasher. Guests can charge their meals from selected local restaurants to their room. Breakfast packs and a grocery shopping service are available upon request. The front desk staff at Quest Hero on Russell can arrange airport transportation, day tours, car rental and other services. Located in the heart of Melbourne's city centre, Punthill Manhattan offers stylish self-contained apartments with satellite TV. Facilities include a fitness centre and spa pool. Punthill Apartment Hotel – Manhattan is 10 minutes’ walk from Flinders Street Station and the Yarra River. Rod Laver Arena is a 15-minute walk away. All apartments are air-conditioned and include laundry facilities, plus a fully equipped kitchen with dishwasher and microwave. Each apartment has a spacious living area. Punthill Hotel features luxurious accommodations in the heart of the trendy Flinders Lane shopping and dining district. All apartments include full kitchens and flat-screen satellite TV. Punthill Apartment Hotel Flinders Lane is just a 10-minute walk from the National Gallery of Victoria and the Eureka Skydeck. Melbourne Aquarium and the Botanical Gardens are less than a 20-minute walk away. All air-conditioned apartments feature private bathrooms and are serviced daily. Each apartment has spacious sitting and dining areas and a CD player. Punthill Little Bourke offers modern accommodations in Melbourne’s historic Chinatown. All self-contained apartments include high-speed internet access and flat-screen cable TV. Guests can enjoy home comforts such as DVD players, hairdryers and ironing facilities. All apartments have kitchenettes, and some feature a fully equipped kitchen. The fitness center with indoor swimming pool provides a great way to work out or relax. Continental buffet breakfast is served every morning. Punthill Little Bourke is surrounded by the restaurants, bars and cafes of vibrant downtown Melbourne. Her Majesty’s Theatre is next door and Princess Theatre is a 5-minute walk away. Punthill South Yarra-Davis Avenue offers well-furnished studios and 1-bedroom apartments, with all the comforts of home on the edge of downtown Melbourne. Located on a quiet tree-lined street in the exclusive precinct of South Yarra. It is a short walk from all sorts of cafe terraces, restaurants, shopping, bars and clubs. The beautiful Botanic Gardens & Faulkner Park are close by. The train and tram are on the doorstep and allow easy access to all of Melbourne's famous tourist attractions. In the heart of Melbourne, Oaks On Collins features a restaurant and bar just a 10-minute walk from Flinders Street Station and the Yarra River. Guests can work out in the fitness center, swim in the pool or relax in the sauna. Guests receive 30-minutes free Wi-Fi per day, per room. Oaks Melbourne is a 5-minute bus or tram trip from the National Gallery of Victoria and the famous Queen Victoria Market. Bourke Street Mall and Melbourne Central Station are both a 15-minute walk from the property. First Floor Restaurant and Bar has an extensive menu and a range of local and international beer and wine. There are numerous restaurants, bars and cafes within a 5-minute walk of the property. All of the accommodations feature stainless steel cooking facilities, a dishwasher and cable TV. Every room has a private bathroom with a hairdryer and free toiletries. Some of the rooms also feature a private balcony. Stanton Apartments offer very spacious and modern serviced apartments, with all comforts of home as well as an indoor heated lap pool, a sauna and a fitness centre. Located on a pretty, tree-lined street, Stanton Apartments Melbourne are a short tram ride to the city centre, Southbank and Crown Casino, Arts Centre, Toorak Road, Chapel Street and the famous restaurant strip of Fitzroy Street, St. Kilda. The Grand Prix circuit, Aquatic Centre, Albert Park Lake and Golf Course are also nearby. Mercure North Melbourne (previously Rydges) features 70 modern guest rooms, an outdoor heated pool and a café/bar. It is conveniently located right across from the Royal Children’s Hospital. As you step inside, the minimalist lines and earthy tone suede furnishings welcome guests. High-speed broadband internet access is available in all guest rooms. The stylish Polo Café & Bar serves quality cuisine with a large selection of snacks and children's meals. The bar has an extensive range of beers, wines and spirits. Facilities at Mercure North Melbourne include a sauna, spacious covered parking for guests, and 3 conference rooms bathed in natural light. Just a 20-minute drive from Tullamarine Airport, and another 10 minutes from central Melbourne, makes this the ideal base for any traveler. Royal Melbourne Hospital is less than a 5-minute walk away. The Prince is a boutique hotel with free Wi-Fi located in cosmopolitan St Kilda, just a 5 minute walk from the beach. Guests can relax in style at the spa or the sauna. Each room at The Prince offers luxury and comfort, including the highest quality bed linens and bathrobes. All furnishings are made of raw timber and rattan. The lounge area offers a balcony overlooking Fitzroy Street and Port Phillip Bay. Aurora Spa Retreat has full body massages and other treatments. Circa restaurant offers innovative fine dining in elegant surroundings. Il Fornaio cafe, bistro and bakery is relaxed and casual. The exclusive underground bar Mink serves cocktail and other drinks until late. The Prince is located 2 miles from downtown Melbourne and a 40-minute drive from Tullamarine Airport. Rydges is in the heart of Melbourne’s theater district. The hotel has a heated roof-top pool and cardio gym. The modern rooms include free toiletries. Guests can enjoy meals and drinks at Locanda Restaurant & Bar which serves Italian cuisine. The hotel also has free use of QV Fitness First on Lonsdale Street. Rydges Melbourne is near many local attractions including the Rod Laver Arena and the Melbourne Museum. Melbourne Park and the city's cricket ground are within a 20-minute walk of the property. The hotel is 15 miles from Melbourne Airport. Rising above Melbourne’s vibrant Southbank precinct, Crown Towers offers spacious luxury rooms with views of the city or Port Phillip Bay. Each room features original artworks and marble bathrooms. Each room includes a large plasma-screen TV with laptop on-demand movies system, an iPod docking station, and a separate walk-in closet. The city and bay views are framed by floor-to-ceiling windows. Guests at Crown Towers Melbourne have access to the restaurants, movie theaters, nightclubs, bars and shopping within the Crown Casino and Entertainment Complex. Crown Spa offers a range of facials, massages, beauty treatments and therapies. It also has a 82 ft heated indoor pool, sun terraces and a fully equipped fitness center. Located on the southern bank of the Yarra River, Crown Towers is a 10-minute walk from Flinders Street Train Station. Crown Promenade Hotel offers spacious rooms with views of Port Phillip Bay or the city and Yarra River. Guests have access to a restaurant, bar, indoor swimming pool and fitness center. Each room at Crown Promenade Melbourne includes a luxury private bathroom, 42-inch flat-screen TV with cable channels and a minibar. High-speed Wi-Fi access is available. Guests can work out in the fully-equipped fitness center or relax next to the indoor swimming pool with views of the city skyline. Steam rooms and a masseuse are also available. Mesh Restaurant offers stylish modern cuisine in elegant surroundings. Tonic Bar has an outdoor terrace and serves cocktails. Located in Melbourne's vibrant Southbank entertainment precinct, Crown Promenade has direct access to the Crown Casino and Entertainment Complex, offering world-class restaurants, bars and shopping. This modern, 4.5 star hotel in central Melbourne is across from the Flagstaff Gardens and Flagstaff Garden Metro Station. It has a gym, a steam room and a hot tub. The rooms at the Radisson On Flagstaff Gardens have flat-screen cable TV, a work desk and a bar fridge. The Radisson’s restaurant is open daily for buffet breakfast, lunch and dinner. Guests can also enjoy cocktails at the HQ’s Bar. The Crown Casino, the Docklands and the Queen Victoria Market are just a short drive from the Radisson. Located across from Albert Park, just a 10 minute walk from St Kilda Beach, Adina Apartment Hotel offers modern apartments with cable TV, in-room movies and access to a fully equipped fitness center. The center of Melbourne is a 20 minute tram ride away. Cafes, restaurants, bars and nightclubs are on the doorstep of Adina Apartment Hotel St Kilda. The Esplanade is only half a mile away. All apartments have a flat-screen TV, work desk, heating and air conditioning. Larger apartments include separate lounge and dining areas, plus a full kitchen with oven, microwave and dishwasher. Internet access is available via both cable and Wi-Fi (charges apply). In-room massages can be arranged through the front desk, which is available 24 hours a day. Services offered include dry cleaning, laundry services, grocery deliveries and room service. In the heart of central Melbourne, Adina Apartment Hotel Northbank offers spacious self-contained apartments with city views. The property features an indoor swimming pool, a sauna and a fitness center. Adina Hotel is just 220 yards from the Melbourne Aquarium and the Melbourne Convention Centre. Crown Entertainment Complex and Southbank Promenade are less than a 15 minute walk away. All apartments are air-conditioned, and include kitchenette or kitchen facilities. Each has cable TV and a separate lounge area. Some apartments have a balcony offering views of the city. Guests at the Adina Hotel Melbourne can relax in the hot tub. Massage services can be arranged upon request. The fitness center offers panoramic city views. Café Keyif serves a varied menu for breakfast, lunch and dinner. There are a number of restaurants and cafés just a 3 minute walk away. For those who want to discover Melbourne's cultural diversity and heritage architecture, Vibe Hotel Carlton is the place to be. Featuring a swimming pool, sauna and a fitness center, it is a 15 minute tram ride from the center of the city. A 20 minute walk from the Vibe Hotel Carlton takes you to Lygon Street, where the city's famous cafe culture was born, and Brunswick, a melting pot of cultures with great ethnic restaurants. The Curve restaurant and bar offers an array of all-day treats and great options for dinner. Vibe Hotel Carlton is a 5 minute walk from Melbourne Zoo and a 10 minute walk from the University of Melbourne. Royal Melbourne Hospital is a 5 minute drive away and the property is a 7 minute drive from Moonee Valley Racecourse. Less than half a mile from Southbank Promenade on the Yarra River, Travelodge Southbank offers affordable rooms with private bathroom, kitchenette and cable TV. The popular Bourke Street Mall shopping area is a 10 minute walk away. Southbank Melbourne Travelodge is a 15 minute walk from Crown Casino and Flinders Street Station is just 1200 ft away. Rod Laver Arena, Etihad Stadium and the Melbourne Cricket Ground (MCG) are all within a 7 minute drive. A full buffet breakfast is served in the hotel’s dining room each morning. Laundry and dry cleaning services are available and the front desk is open 24/7. All rooms at Travelodge Southbank are air conditioned, include twin or double beds, plus a microwave and tea/coffee making amenities. Each includes a sitting area and a work desk with internet connectivity. In the heart of Melbourne, Adina Apartment Hotel has modern self-contained apartments with flat-screen satellite TV and CD players. It features a swimming pool, a sauna and a fitness center. All air-conditioned apartments feature Italian furniture and large windows with natural light. Each apartment includes a kitchenette or a full kitchen and spacious sitting areas. Adina Apartment Hotel Melbourne is just a 5-minute walk from Bourke Street Mall. The Old Melbourne Gaol (Jail) and the National Gallery of Victoria are each a 15-minute walk away. Guests can indulge in a relaxing massage, or enjoy a casual meal in the barbecue area. The tour desk can recommend local attractions and help guests with travel arrangements. A wide selection of beers and wines is available at the bar. Alternatively, there are a number of cafes, bars and restaurants within a 10-minute walk of the property. Less than half a mile from Etihad Stadium, the Best Western Atlantis Hotel features a heated indoor swimming pool and a well-equipped fitness center. All air-conditioned rooms have a 32-inch flat-screen TV. In central Melbourne, the Atlantis Hotel is a short walk from the free City Circle Tram and a 5-minute walk from t Southern Cross Station. The Melbourne Convention and Exhibition Centre and the Melbourne Aquarium are each a 15-minute walk away. The contemporary rooms have a refrigerator, a desk and a safe. Each has a modern bathroom with a shower, a hairdryer and free toiletries. Some rooms feature views of the city. The Melbourne Atlantis Hotel has a tour desk which can recommend local attractions and assist with travel arrangements. Other facilities include a guest laundry and luggage storage. Located just a short ride from central Melbourne, this motel offers peaceful, air-conditioned accommodations and high-tech amenities in the district of Abbotsford. Relax in your room at the City East Motel with the help of the flat-screen satellite TV, DVD and CD players. You can also make use of the in-room kitchen facilities, including tea and coffee facilities, a refrigerator, microwave and toaster. Start your day with the continental breakfast served each morning. Head to vibrant central Melbourne, just a 10-minute tram ride away. You will also find a fine range of restaurants, including exotic Vietnamese cuisine, on the nearby Victoria Street. Easystay Motel offers comfortable and affordable accommodations in the heart of St. Kilda’s cosmopolitan district, surrounded by trendy bars, clubs and restaurants. Easystay Motel is a great base for those seeking budget rooms in the midst of the action. Each room is spacious and air-conditioned for your comfort, and has a private bathroom. Relax and soak up the sun at St. Kilda’s beach, just 330 yards from Easystay. Browse around the local shops and markets. In the evening, get ready at the motel and head off to the wine bars in the area. Try one of the many restaurants in the area before dancing the night away in St. Kilda’s clubs. Situated in various locations across St. Kilda, Easystay Studio Apartments offer well-equipped accommodation within easy reach of the famous beach, Luna Park and an array of restaurants and bars. Combining the comforts of home with the services of a hotel, Easystay Apartments provide you with privacy and independent living during your holiday. The nearest tram stop is just a few minutes' walk away. Each of the Easystay studio apartments is tastefully decorated and appointed with a small kitchen, where you can prepare meals and snacks. There is also a modern en suite bathroom. Situated in one of Melbourne's most exciting areas, Easystay Apartments provides a comfortable and convenient base for your stay in St. Kilda. Centrally located in Melbourne, Vibe Savoy Hotel is within a 5-minute walk of Collins Street and the Southern Cross Train Station, which has shops, cafes and restaurants. It features a fitness center, a restaurant, and has air-conditioned rooms with in-house movies. Curve Restaurant & Bar serves a rich selection of Australian dishes. Guests at Vibe Savoy can also enjoy a drink at Bar Alexander and choose from an extensive wine list. Vibe Savoy Hotel Melbourne is 320 yards from the bank of the Yarra River. Tram connections are around the corner from the hotel and Etihad Stadium, Melbourne Aquarium and Melbourne Convention Centre are all within half a mile of the property. Tullamarine Airport is less than 16 miles away. The spacious guest rooms feature stylish furnishings and include a work desk, a minibar, and cable TV. Each room features a private bathroom with hairdryer. In the popular South Yarra shopping district, Adina Apartment Hotel offers apartments with satellite TV and a CD player. It features an indoor heated pool, a sauna and a well-equipped fitness center. All air-conditioned apartments come furnished with a well-equipped kitchenette or kitchen and a spacious living area. Most apartments also have laundry facilities and a balcony or patio. Adina Apartment Hotel South Yarra is 4.3 miles from the Melbourne city center. 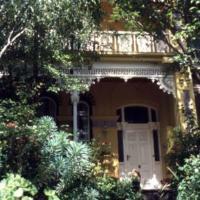 The Royal Botanical Gardens are a 15 minute walk, and Chapel Street is a 10 minute walk away. Just 220 yards from Federation Square, Adina Apartment Hotel Flinders Street offers stylish apartments in the heart of Melbourne. Many have a private balcony with stunning city views. Guests can choose between open-plan studio accommodations and larger apartments with separate bedrooms, living rooms and kitchen facilities. All feature air conditioning and laundry facilities. There is a tram stop located just outside Adina Apartment Hotel Melbourne, Flinders Street. It is a 10 minute walk from the Melbourne Cricket Ground (MCG), Rod Laver Arena and the Southbank Promenade. Facilities include a fitness center, car rental desk, plus dry cleaning and laundry services. In-room massages can be arranged through the 24-hour front desk.